University students were invited to participate in “OscarsSoWhite: A Conversation about the Oscars and the Wesleyan Film World,” an event co-sponsored by Ujamaa and Cardinal Pictures, on Thursday, Feb. 25. Yael Horowitz ’17 and Isabella FitzGerald Harewood ’17 moderated the discussion. FitzGerald Harewood began by sharing statistics on the Academy of Motion Picture Arts and Sciences, which makes the decisions for the annual Academy Awards. This year, the Oscars were held on Sunday, Feb. 28. 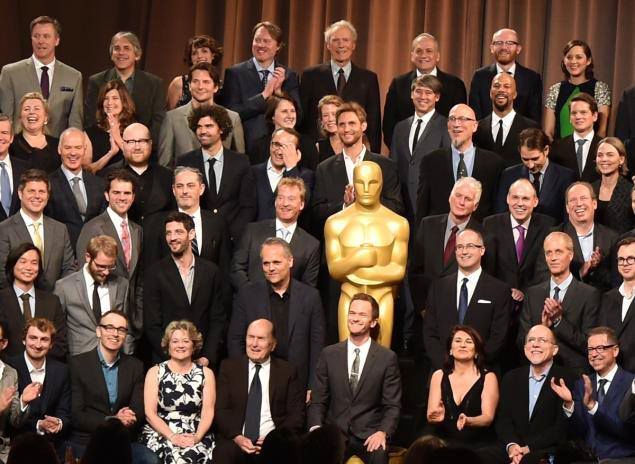 The Academy has about 5,700 members, 94 percent of whom are white, 77 percent of whom are men, and 88 percent of whom are over the age of 50. One can only become a member by direct invite from the Academy or by having been nominated for one of the awards in the past. FitzGerald Harewood commented on how the structure of the Academy itself breeds exclusivity and exists in a continuous cycle in which the people in power are not conscious of diversity. For people of color in the industry, she argued, there is an inherent limitation in terms of the kinds of roles they can be cast in because they are often only seen as being able to depict non-white characters. Responding to this, Horowitz spoke in a similar vein, arguing that many people in the film industry are making decisions without a clear political consciousness, which results in many of them approaching films from a very specific and homogenous standpoint. She then posed a question to the entire room, asking how the films that are currently considered “great” affect the way people view the world, arguing that films have the power to create a certain kind of culture. One student proposed the idea of creating a new canon of films, since the current one could be seen as outdated. Now, in 2016, he argued, films from the 2000s could begin to be incorporated into the category of “the greats,” as we move away from the idea that what is older and has already been established is always better. The conversation then turned more directly toward the University’s Film Department. FitzGerald Harewood echoed the sentiment of many of the students in the room when she commented on her own experience, noting her opinion of the lack of diversity and lack of support for women in the program. Sofia Taylor ’17 spoke directly about her experience in the department and pointed out some holes she sees in the curriculum. FitzGerald Harewood responded to this point, commenting on the seeming idealization of Hollywood films within the University Film Department. Students began relating this back to the 2016 Oscar nominations, most agreeing with the argument that many films starring people of color were not given the nominations they deserved this year. Commenting on why certain films were disregarded, FitzGerald Harewood pointed again to the idea that the standards of performance in America remain grounded in whiteness. Hazem Fahmy ’17 related this idea to a more broad understanding of art in general and the kind of work that is either being recognized or ignored. Many students in the room commented on the way in which a strict focus on aesthetics within the University’s Film Department exists. This was in stark contrast to most other departments on campus that actively teach students to consider the cultural contexts of what they are studying and to think with a social, political, and economic consciousness. Fahmy elaborated on his point about standards, effectively emphasizing some of the key ideas that had remained constant throughout the conversation.